On July 16, a procession from the Holy Protection Hotkovo Monastery to Sergiev Posad to the Holy Trinity-Sergius Lavra. July 14. PRAVMIR. Around 350,000 people are expected to take part in the celebration of the 700th anniversary of the birth of St. Sergius of Radonezh. In connection with these celebrations there will be limited vehicular traffic in Sergiev Posad stated Interfax-Religion referring to the press service of the Moscow Regional Traffic Police. 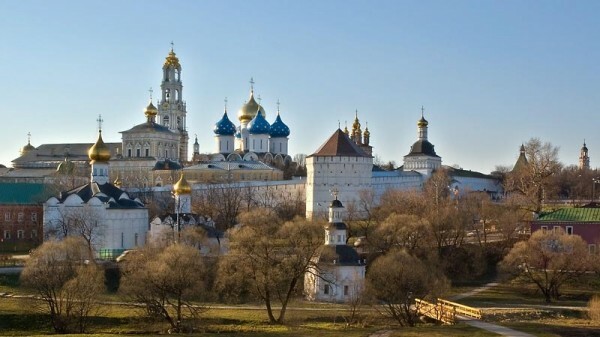 In particular, from 9PM July 15 to 9PM July 20, a limited number of vehicles will be able to drive around Sergiev Posad, an exception being those with special permits that were issued to the city’s residents and vehicles involved in life support. The organizers have arranged five parking at the city’s entrance with a total capacity of 13,500 cars. The total number of operating buses daily is 72 and there are 10 more in reserve. In the central part of the city, a pedestrian zone has been organized. To ensure road safety, there are plans to implement more than 400 traffic police officers, more than 150 service vehicles, 30 tow trucks, 19 tractors and 22 trucks to serve as blocking. On July 16 a procession will be held from the Holy Protection Hotkovo Monastery to Sergiev Posad to the Holy Trinity-Sergius Lavra. The stated number of participants in this procession is about 15 thousand people. The total route length is 14.5 km and its duration will be about 7 hours. Earlier it was reported that Sergiev Posad is ready to receive up to one hundred thousand pilgrims.